Sources for William Douglas Jr.
1 Connecticut: Vital Records (The Barbour Collection), 1630-1870, New London, p. 103, Birth record for William Douglass, New England Historic Genealogical Society (Online Database). 2 Connecticut: Vital Records (The Barbour Collection), 1630-1870, New London, p. 104, Marriage record for William Douglass and Mary Lucas, New England Historic Genealogical Society (Online Database). 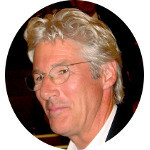 3 Roberts, Gary Boyd, "#74 Royal Descents, Notable Kin, and Printed Sources: The New England Ancestry of Actor Richard [Tiffany] Gere", (accessed 10/09/2014), New England Historic Genealogical Society (Online Database).